If your cat has a procedure, your vet may send him home with a cat collar after neck surgery? Pet owners with cats requiring special post-surgery care should be aware of the therapeutic role certain types of collars can play in healing. A post-surgery period can be difficult for both cats and their owners. 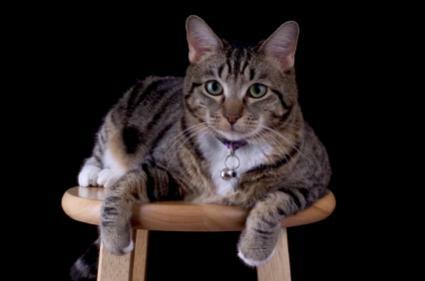 Many feline patients have difficulty with eating, resting, and even defecating after a surgical procedure. Since the convalescent period is so uncomfortable, it can often exacerbate your cat's pain as well as set the animal up for a horde of other new symptoms such as hunger, restlessness, and bowel dysfunction. However, after any incision, the primary concern of pet owners is to make sure that a cat does not aggravate the area of incision by scratching, biting, etc. Animal experts maintain that the worst post-surgery pain occurs within the first two to three days after surgery. If your cat is frustrated by pain, it may scratch at its neck or attempt to bathe the area. Naturally, it may be difficult for a cat to reach certain neck areas with its tongue, but these animals are remarkably flexible and they will try valiantly. This is why placing a certain type of recovery cat collar on neck surgery feline patients can be very helpful in preventing on-site infections and incision irritations. Where cat collars are concerned, we aren't talking about your normal identification tag collar or an aesthetically pleasing rhinestone piece. The sort of collar you'll want to strap onto a recovering feline is the large Elizabethan style collar that resembles a funnel. This funnel will benefit your cat by preventing it from licking the incision. Is licking going to harm the surgical incision? Yes, it's very possible. In fact, it's more than likely, especially if the bathing is excessive. Your cat's licking habit may form into an obsession with the surgical site, and this continuous bathing may break open the delicate stitches that hold the wound together. Licking can also introduce certain pathogens into the bloodstream. The adamant belief of many pet owners regarding the pristine cleanliness of a cat or dog's mouth is not entirely true. A cat's mouth is clean only when its tongue is fresh, clear and pink, and the animal's teeth are white while the gum area remains flawless. However, most cat owners can attest to some, quite frankly, bad kitty breath experiences. Horrible breath is frequently the result of undigested poor quality food remaining in the cat's intestines, a condition that can aid the growth of pathogenic bacteria. Therefore, it is wise to avoid letting your cat lick its surgical incision. Microbes aside, licking can merely slow healing due to prolonged activity at the incision site. So, keeping these disease breeding bacteria in mind, it is best to take whatever means necessary to prevent your cat from toying with the surgical area. Regardless of your cat's collar, there are certain things to consider even when you effectively apply a cat collar on neck surgery feline patients. Cats are not always as vocal as dogs, so it can be difficult to discern exactly what your cat is going through during the post surgery period. Keep a daily eye on the incision site as well as monitoring your cat's symptoms. Has the area become redder since the surgery date? Is it oozing, even slightly? Any peculiar odors or fluids emitted from the incision may indicate an infection, and it is wise to keep your vet informed regarding these changes. Placing an Elizabethan cat collar on neck surgery feline patients during the recovery period is a good step towards the prevention of these occurrences, but scratching can still be an issue so be sure to monitor the situation closely. Special post-surgery cat collars are usually provided by your vet when the situation warrants their use, although many pet supply stores also carry them. They are relatively inexpensive and cost approximately $10.00 US.